A statement by a Tbilisi court announced that Georgia-based Turkish teacher Mustafa Emre Çabuk’s arrest was extended for another three months. A military coup attempt on July 15 killed over 240 people and wounded more than a thousand others. Immediately after the putsch, the Justice and Development Party (AK Party) government along with President Recep Tayyip Erdoğan pinned the blame on the Gülen movement. The movement denies any involvement. More than 120,000 people were detained over ties to the movement at home while Erdogan called on foreign governments to punish Gulen followers in their own countries as well. Çabuk, a teacher at a secondary school established by Gülen movement followers in Georgia, was detained by police upon a request by the Turkish government. An asylum application by Cabuk was earlier rejected by Georgian authorities. 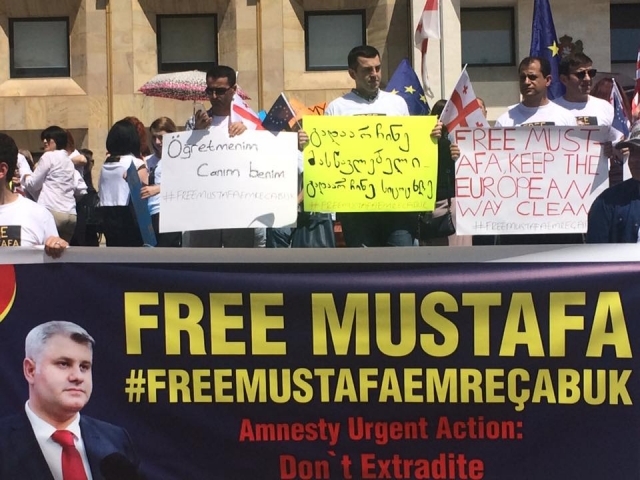 “[He] will have no access to a fair trial,” said a statement released by the Human Rights Education and Monitoring Center (EMC), Transparency International Georgia (TI), The Tolerance and Diversity Institute (TDI), Georgian Young Lawyers Association (GYLA), Georgian Democratic Initiative (GDI), Human Rights House Tbilisi (HRHT), International Society of Fair Elections and Democracy (ISFED) and the Media Development Fund (MDF).